A silver collector coin dedicated to the works of Eduard Vilde will go on sale in the museum of Eesti Pank at 12.00 on 4 March. On this day only it will also be possible to get the stamp issued by Eesti Post and dedicated to the 150th anniversary of the birth of Eduard Vilde from the central bank museum and to get a first day postmark on it. The silver collector coin has a nominal value of 10 euros and can be purchased for 35 euros, and it is available from Eesti Post post offices across Estonia and the Eesti Post online shop  as well as the Eesti Pank museum. The stamp has a nominal value of 55 cents, which is the letter rate for letters within Estonia. In total 40,000 stamps will be printed by the Vaba Maa printing house and a first day cover will be issued with the stamp and a first day cancellation will be used. The stamp was designed by the well-known stamp designer Vladimir Taiger. 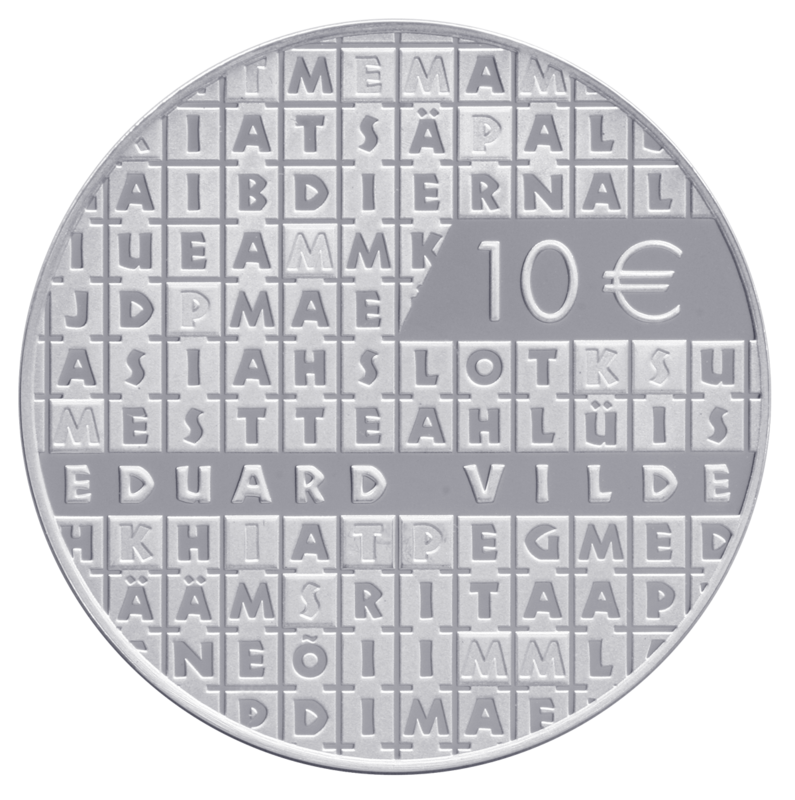 The collector coin dedicated to the works of Eduard Vilde uses titles from his works such as The Inscrutable Mystery, The Peasant War at Mahtra and The Man in the Black Cloak. 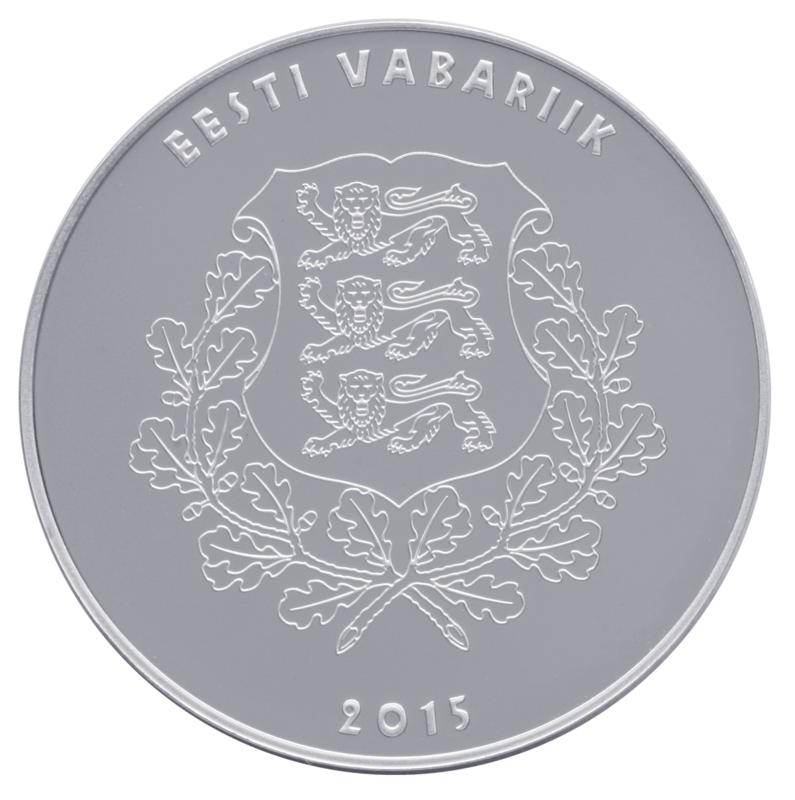 The front of the coin displays the denomination €10 alongside the titles and the reverse bears the coat of arms of the Republic of Estonia and the year 2015. The proof quality silver (Ag 925) collector coin weighs 28.28 grams and is 38.61 mm in diameter, and 5000 of the coins will be minted. The coin was designed by map maker and designer Mait Luidalepp and is being minted in the Romanian Mint. The collector coin dedicated to the works of Eduard Vilde and other collector coins issued by Eesti Pank are on sale in the post offices at Narva mnt 1 in Tallinn, Lossi plats 4 on Toompea in Tallinn and Viru 20 in the old town of Tallinn; Riia 4 and Kalda tee 1C in Tartu; Torni 1 in Kuressaare; Nurme 2 in Haapsalu; Tallinna mnt 41 in Narva; Hommiku 4 in Pärnu; Kesk 10 in Valga; and Tallinna 22 in Viljandi. For more information please contact the Omniva client service on 661 6616. Information about the stamp can be found on the Eesti Post website.